Most people are aware that it’s possible to buy stock in various companies with the hope of it going up in value. However it’s not correct to say that all stock is the same. There are two types of stocks – public and private stocks. Public stocks are the ones most people are familiar with. They can easily be bought and sold so you have complete freedom in deciding which ones to get and which ones to avoid. However this doesn’t apply to private stocks. So let’s find out a bit more about them and discover whether you can actually buy them. This can be easier said than done. The fact they are private means they are much more difficult to find than public stocks. Private companies are not required to release financial information and thus you may not have any information at all to go on. In the past the easiest way to have a shot at buying these types of shares was to work for the company and hope you were issued some at some point. Furthermore since the shares are not made public for anyone to buy, you may not have any opportunities to buy them. It’s very much a case of knowing someone who has these shares so you can ask if you are able to buy some. There is a relatively new way of doing this that makes good use of the internet. A new website called Sharespost has been launched recently (https://welcome.sharespost.com/) that aims to make it easier for people who want to buy private stock to get in touch with people who have private stock to sell. The major downside is the $2,500 fee required to buy or sell stock on this website. Thus the site is not for beginners. An alternative is to consider Second Market (https://www.secondmarket.com/private-company) which also has a section that can bring together private stock buyers and sellers. As with any shares, it is wise to find out as much as you can before buying any of them. The very nature of private stock is that it is difficult to glean much information about in advance of purchase. This is why you are better off avoiding private shares altogether until you have some experience buying other shares. The more you get to know about the market, the easier it will be to stand a chance of putting yourself in a position to buy private shares. It can be a good idea to ask people you know who work for these companies to see if this will create any opportunities for you. You never know, simply having a conversation with someone you know and trust could result in an opportunity to buy. However always do your homework and don’t buy simply because you know the person selling to you. Ask yourself why they want to sell and what this may mean for you. As always caution is advised. 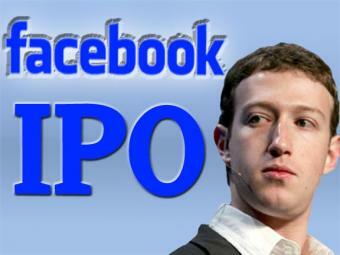 Should You Invest in Facebook Stocks?